In Friday's strong condemnation of White House economic policies abroad — including the probability of a trade war with longterm allies in North America and Europe — Sachs noted that "Trump's trade actions are blatantly illegal. They are flimsily justified as an act of national security, but this is sheer nonsense," cited by The Hill. 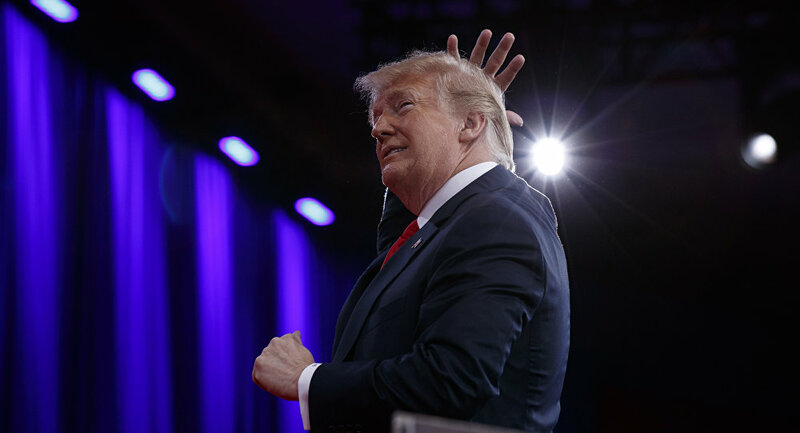 Sachs, director of Columbia University's Center for Sustainable Development, acknowledged that leaders and economic experts around the world have unsuccessfully puzzled to identify a strategy behind Trump's seemingly childish policy announcements. "By instinct, we strive to make sense of Trump's nonsense, implicitly assuming some hidden strategy," Sachs remarked, pointing out, "There is none." The globally recognized economic expert has previously issued stinging criticism of the strikingly polarizing 45th US president — particularly in describing a Trump speech to the United Nations General Assembly as "ugly" and "provocative" — and now predicts that new aluminum and steel tariffs will negatively impact the US dollar against global currency markets, as well as rapidly increasing US debt worldwide. Heads of state in the northern hemisphere have also lambasted Trump following his tariff declaration, describing the seemingly capricious move as an insult to long-standing US allies. "Let me be clear: these tariffs are totally unacceptable," observed Canadian Prime Minister Justin Trudeau on Thursday after Trump's pronouncement. "Canadians have served alongside Americans in two world wars and in Korea. From the beaches of Normandy to the mountains of Afghanistan, we have fought and died together," Trudeau detailed, cited by CNN. EU authorities also noted that the bloc would never accept Trump's threat of US trade restrictions. "This is not the way we do business, and certainly not between long standing partners, friends and allies," stated EU Commissioner for Trade Cecilia Malmström, cited by The Hill. "The EU's response will be proportionate and in accordance with [World Trade Organization] rules," Malmström remarked.